The concept of Economic Citizenship in Dominica was introduced in 1993 when the Citizenship Act was amended to waive the residency requirement for Dominican citizenship. The Dominica Economic Citizenship program has been introduced with the goal of promoting national development and the mobilization of capital for public and private sector projects. The program also emphasises private sector projects in the fields of tourism, information technology, and agriculture. All family members older than 18 years are required to file a separate application. The investor must not be less than 21 years of age. The applicant must have an outstanding character. The applicant must have basic knowledge of English. The prescribed forms must be filled out by all persons seeking citizenship, including children. The parent or legal guardian must sign on behalf of applicants aged less than 18 years. The investor should deposit the required investment into the National Commercial Bank of Dominica. The amount shall be forfeited if the application is rejected on account of submission of false information, false declarations, forged documents, or fraudulent documents. The amount shall be refunded if the application is withdrawn or rejected. The refund shall be made within one month of rejection. The fees paid shall not be refunded. Request for a refund should be made to the Minister of Finance. 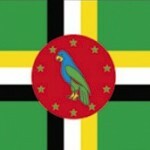 The processing time for applications for Economic Citizenship of Dominica may take more than eight weeks. The applicant/investor must have a government-approved promoter or agent. An overseas promoter must work with a local agent or promoter. The Financial Services Unit shall receive the application and the documents for consideration. The Minister of Finance and Social Security will then issue a comfort letter to the applicant. The applicant must deposit the required investment amount in the Citizenship account at the National Bank of Dominica and fax the notification of payment to the Manager of the Financial Services Unit. The investment amount shall be transferred to the relevant public or private sector projects only after Naturalization Certificates are issued to the applicants. After preparation of the application, submission of the application, and issuance of the comfort letter, the investor will attend an interview conducted by a government appointed committee. This interview will be held in Dominica and conducted in English. If the investor is unable to travel to Dominica, he/she will have to pay US$3,000 for the interview to be conducted elsewhere. The investor will also have to pay the full cost of hotel, airfare, and daily expenses. If the investor is not fluent in English, government-approved translators are available for a fee of US$100. The interview will be held only if all documents are in order at least one week before the scheduled date of the interview. The interview shall include questions concerning personal information, eligibility for citizenship, awareness of social, political and economic life in Dominica, reasons for seeking Economic Citizenship, potential contributions by the investor to Dominica’s socio-economic growth, and allegiance and loyalty to Dominica. The interview will not be waived under any circumstances. The results of the interview shall be sent to the applicant one month after the interview. If recommended, the application will be forwarded to the Ministry in charge of granting Economic Citizenship—Ministry of Foreign Affairs, Immigration and Labour. The final decision rests with the Ministry of Foreign Affairs, Immigration and Labour. Upon approval by the Ministry of Foreign Affairs, Immigration and Labour, the applicant must sign the Oath of Allegiance before a public notary, a Justice of Peace, or a Commissioner of Oaths. For children aged zero to 16 years, the Oath must be signed by parents or legal guardians. Upon payment of a registration fee of $1000 per applicant, a Certificate of Naturalization shall be prepared and issued. This is proof of the grant of Dominican citizenship. Upon issuance of the Certificate of Naturalization, applicants can apply for a passport at the Immigration Office, or Police Headquarters in Roseau. Along with the completed forms, the applicant must submit a copy of his/her Certificate of Naturalization, a certified copy of birth certificate, two passport-size photos, and proof of payment of EC$100.